Our global team develops welding automation products that are built-tested for any environment—in any climate. 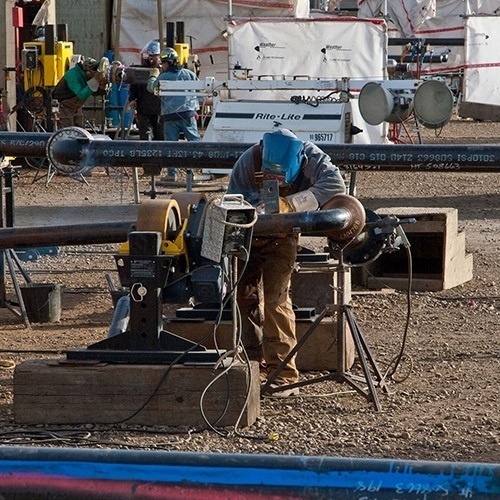 We proudly manufacture welding positioners, pipe stands, pipe rollers and roller supports, tank turning rolls, boom & column welding manipulators, pipeline rollers, pipeline welding equipment and rigging rollers for a diverse range of pipe, tank and vessel welding applications and installations. LJ Welding Automation’s award-winning research and development ensures that all products adhere to the highest international standards. Robert Hoffman - Facilities Manager, Saipem Construction Canada Inc.